Thank you to the Star Tribune in the 7th annual Taste 50 for recognizing our wonderful Lisa Clark, the founder and owner of Mojo Monkey Donuts, for "recently infused the Twin Cities dining scene with a much appreciated jolt of originality." Congratulations! And thank you to all our Mojo fans (you!) who continue to support our shop and inspire us to create donuts, coffees and pastries worthy of your taste buds! 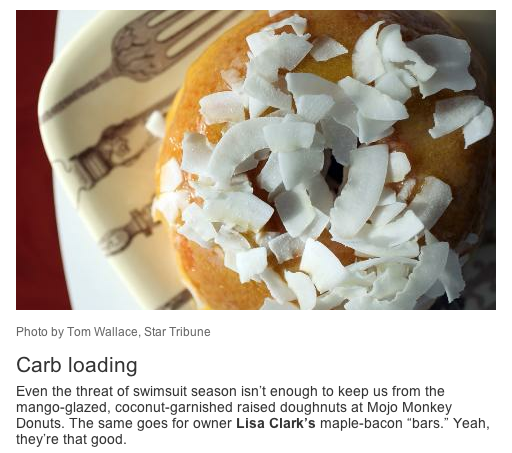 Check out the Star Tribune article to see the complete list.